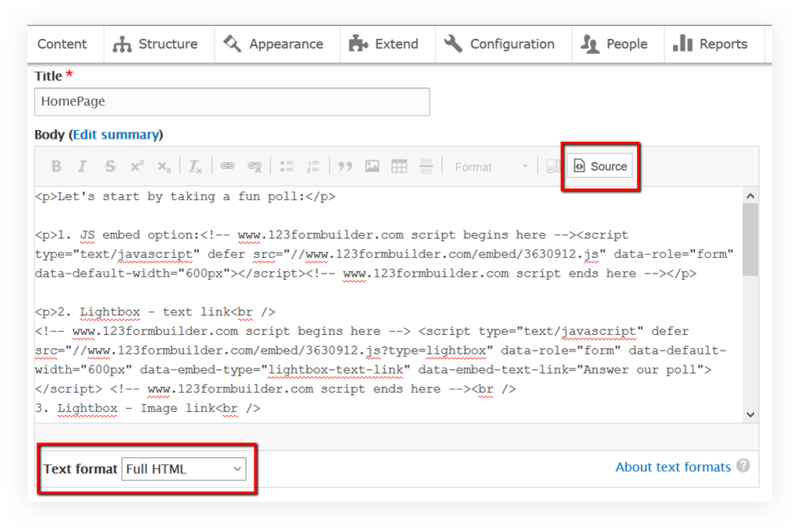 In order to add a 123Formbuilder form to your Page, click Edit Page and make sure you enable the Full HTML Text format and the Source view, then paste the 123FormBuilder embed code for your form. 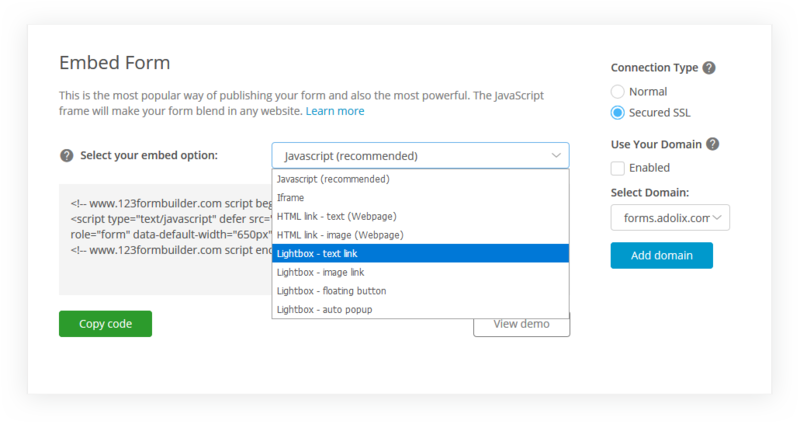 In case you want to add a 123FormBuilder form to your Article, just follow the same steps as above ;). 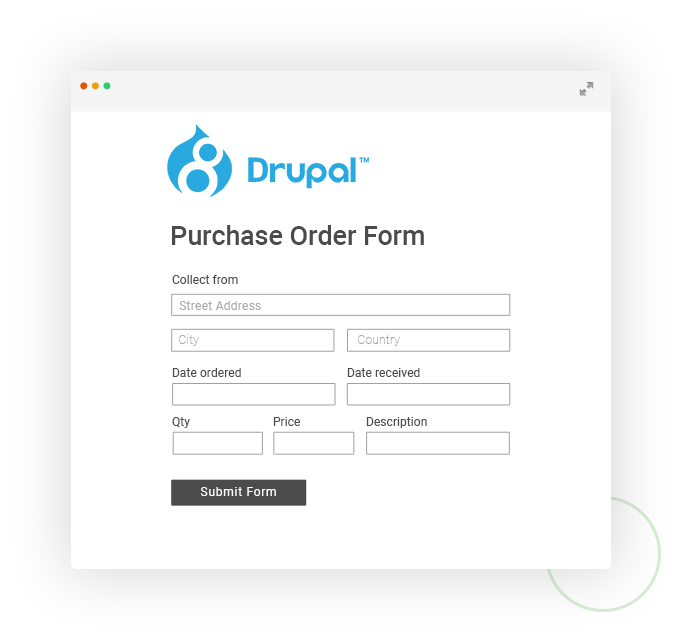 Drupal is a free, open source software with great flexibility. It allows creation of a single web site or content in multiple languages. The solutions offered by Drupal are: Web content management and Commerce.